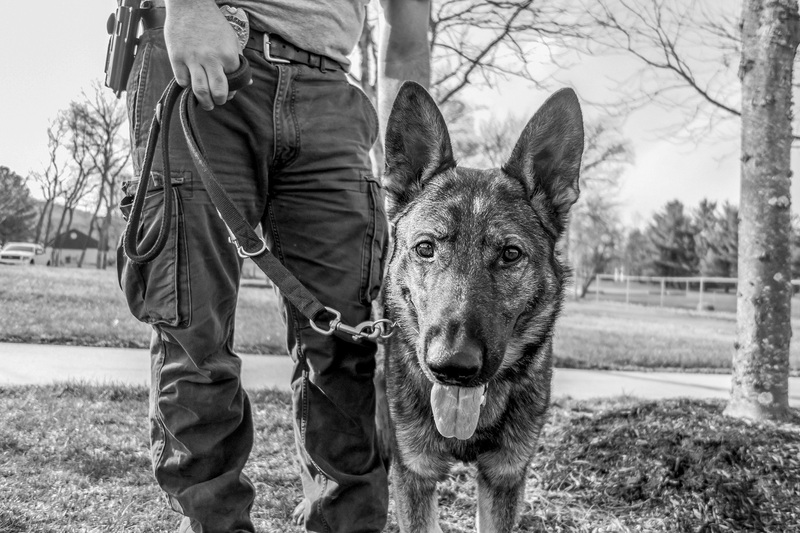 Polis, an one year old German Shepherd, trained in patrol work and narcotics detection with his handler, Sgt. Carlos Ferreiro of the Readington Township Police Department in New Jersey. April, 2015.